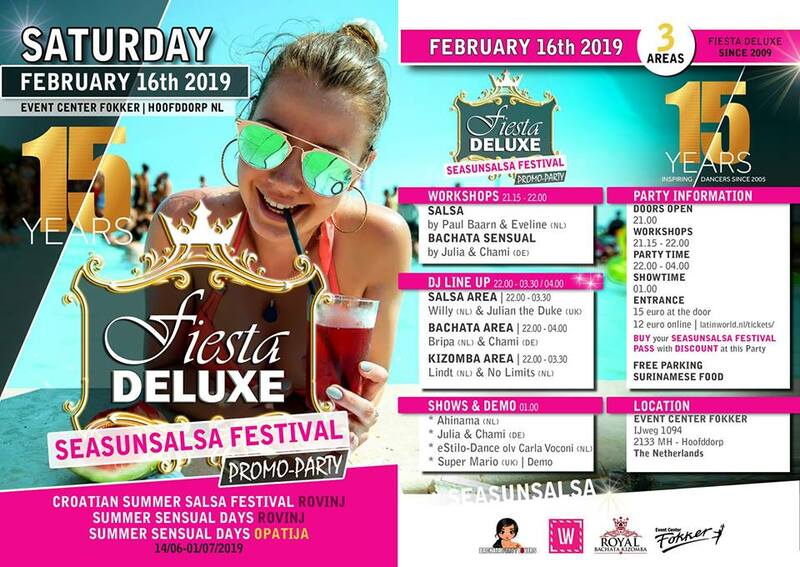 Omschrijving: FIESTA DELUXE – SEASUNSALSA IT IS! ► BUY your CROATIAN SUMMER SALSA FESTIVAL 2019 PASS with DISCOUNT at FIESTA DELUXE! Imagine a perfect sunset. Temperature just about right so that you can wear summer clothes. Colors you have never seen in your life and your favorite salsa tune inviting you to dance. Imagine you’re surrounded by thousands of people from all over the world who feel that same sensation. And imagine giving in to the music and dancing your feet away from that moment on. Done? Well that’s it, welcome to Croatian Summer Salsa Festival.